On this day, and especially with June and a focus on Fathers Day ahead, I’m focusing on the ageless wise man. In my recent companion post about the Wise Woman, I noted that I often awaken in the morning, lie still for a few minutes, and try to set an intention for the day. So today, I’m thinking of and looking for the wise man. Where can I find him? If and when I find him, what questions will I ask? Who is this wise man? He is the one who knows all things from a masculine perspective. I don’t think there is such a being within one person, but I try to look for core characteristics in the many people, male and female, who I will meet today. When I think of male energy figures, I think he is a provider, protector, resourceful, a teacher. He knows how to work hard and work smart, and can show me how I can also do the same. When I ask him to do something for me that I’m not quite sure of, he might ask me if I can spell the word “able.” When I spell it correctly, he might then say, “If you can spell it, you can do it!” In saying this, he is telling me he has confidence in me and I should try it myself. Or he might encourage me to reach for that apple out on the limb of the apple tree, giving me confidence to overcome my fear by allowing me stretch out while he stands below, ready to catch me in case I slip. Other wise men I think of are steady in the midst of chaos. They don’t easily get rattled by insults and don’t get into fights… unless it is the last resort. He has a sort of power and knows how to use it to make the world a better place. I recently attended one of the most beautiful weddings I’ve every witnessed. The groom teared up during the ceremony as the emotions swelled… and it was quite moving and powerful! The section about Wise Old Woman and Wise Old Man, from Dreams-Myths-Symbols, describes these figures in terms of Jungian archetypes and mana personalities, stage three of a human’s individuation process. This fascinating TED Radio Program presentation by Adora Svitak, age twelve, focuses on what wisdom adults can learn from kids. It is part of a larger themed TED Radio Program, focusing on becoming wise. 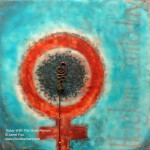 ⇒ For information about purchasing this artwork and/or its companion art, contact Janet Fox. © 2019 Janet Fox. All Rights Reserved. 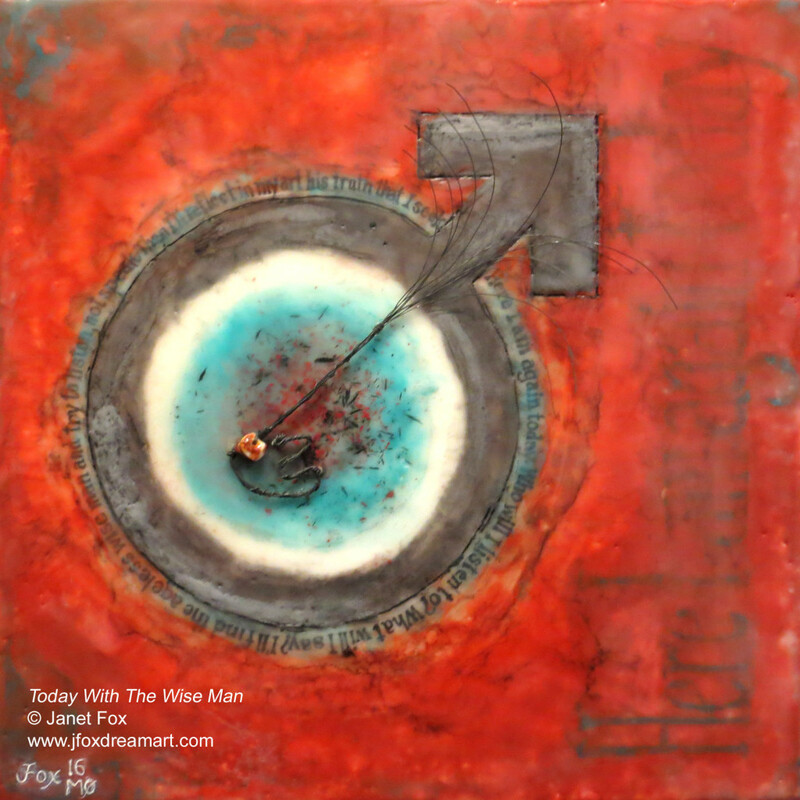 J Fox Dream Art Studio site created using Wordpress and the Portfolio Press theme.